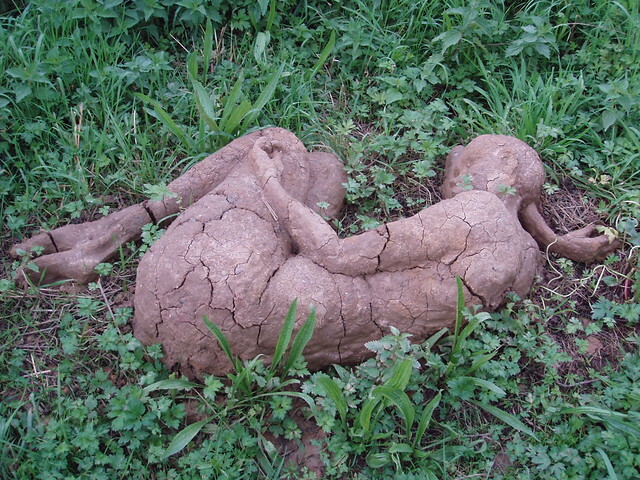 My friend Jane, a potter, created this figure of a woman from clay dug from her own back garden. Jane was going to set up a time lapse camera to film the weathering and re-claiming of the figure by the grass and weeds back into the bosom of Mother Earth. An example of reverse transformation, perhaps? You can watch the video of the transformation here. It would be wonderful to create something like this in your own garden! Lovely work and interesting transformation taking place. I visited an exhibition in Scotland with this topic. The decay of art due to climate and weather.